The Glen01539 739951work Guest HouseBill & Pauline Connell would like to welcome you to The Glen, a family-run guest house in Oxenholme, Kendal. Awarded 4* by Visit England, we are proud of our reputation for clean, comfortable accommodation with excellent breakfasts using quality local ingredients and relaxed, friendly service. Close to good road and rail networks, we are an ideal base from which to explore the Lake District and Yorkshire Dales, while being only a 2- hour train journey from Edinburgh and 3 hours from London. Situated in a quiet location under ‘The Helm’, close to Oxenholme Lake District railway station and with easy access to Kendal and the Lake District National Park. Guests can take advantage of free parking and secure cycle and motorbike storage as well as drying facilities. All of our en-suite rooms are individually decorated and have a seating area, free Wi-Fi, colour TV, tea/coffee-making facilities and complimentary toiletries. We have a single/twin room, two standard doubles, a double suite, a family suite and a ground floor twin/king/family suite. Breakfast is served between 8 and 9 am in our newly refurbished dining room, comprising a buffet selection of cereals, fresh fruit and yogurt with hot food cooked to order. The Glen sometimes limits bookings to 2 or more days. Double bedroom with large en suite bathroom containing large bath and separate walk-in shower . Essential oils and candles provided. TV and DVD player. This is our luxury suite. Double bed with separate sitting area. En suite bathroom has bath with shower over. Essential oils and candles provided. TV and DVD player. 3 adults or 2 adults and 3 children. Double bed, single bed, double bed settee. Cot available. TV with DVD, en suite bath with shower over. Room price is for 2 adults, extra adults £25 and £10 each child over 4yrs. Double bed, fitted bedroom furniture, 2 easy chairs, TV and DVD player. En suite bath and shower. 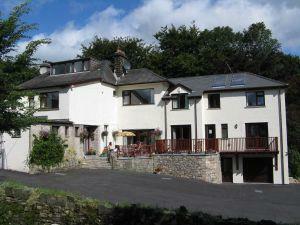 Bill & Pauline Connell would like to welcome you to The Glen, a family-run guest house in Oxenholme, Kendal. From M6 jct 36 take the A65 to Crooklands and Endmoor. At Oxenholme, turn right to Oxenholme railway station. At T-junction turn right, go up the hill, first drive on the right-hand side. 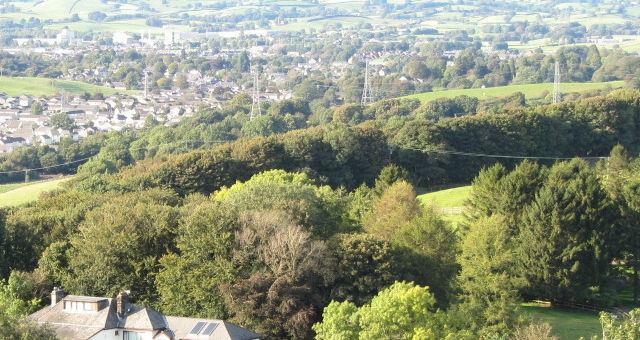 By road, Kendal is 25 miles from Keswick, 27 miles to Penrith and 8.5 miles to Windermere.